Located in Bradford, West Yorkshire. 1.5 mile off Junction 26 M62. 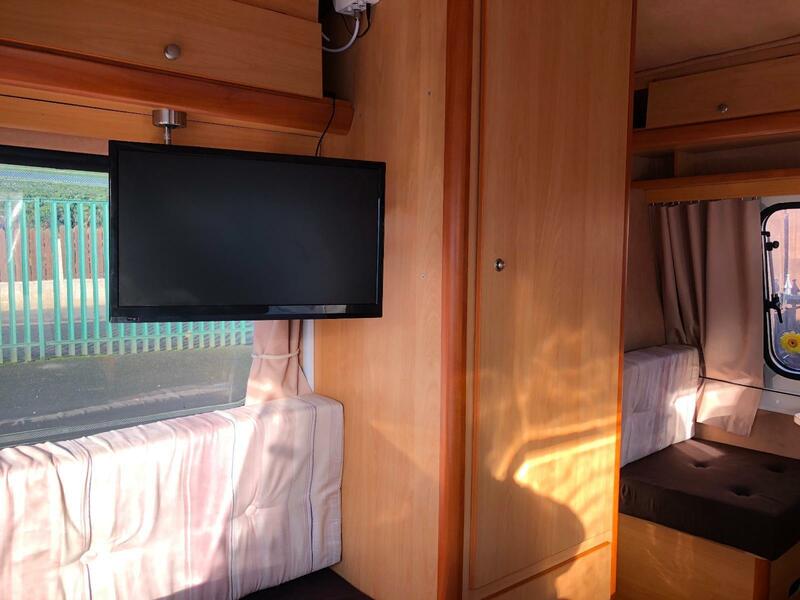 Our Freedom Sunseeker for hire is Under 750KG. Towable by most small cars. 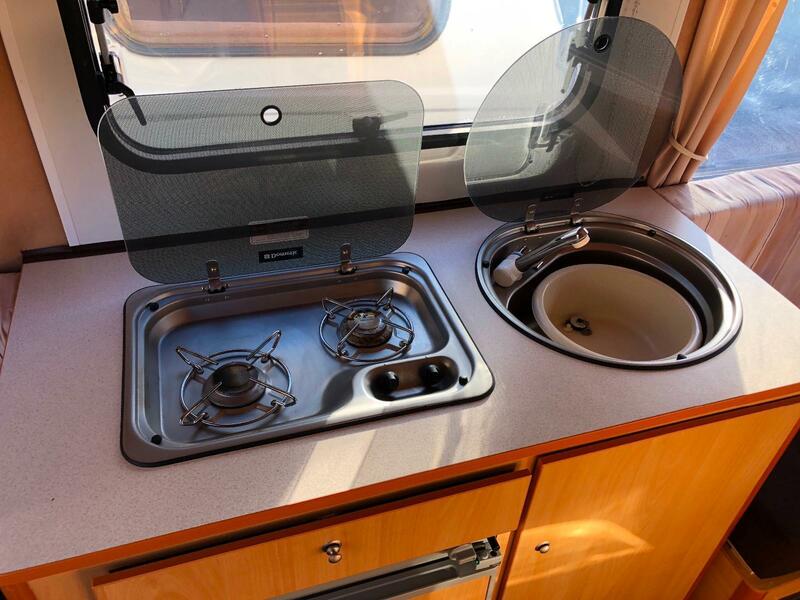 Please note that all our Sunseeker models for hire come with a single and double bed ( 3 berth) but DO NOT have gas heating , showers or ovens but does have a hob. 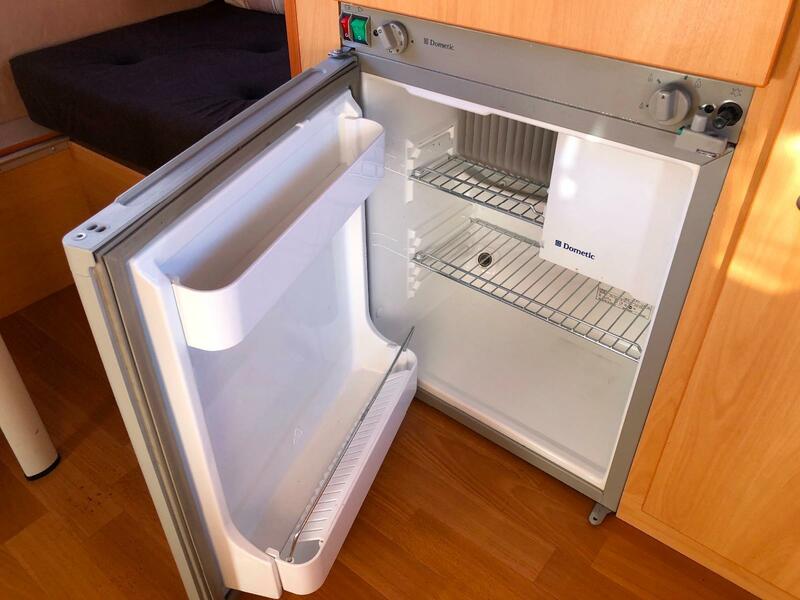 We will supply an electric oil heater and a Dometic porta potty as the sunseeker model does not have a fitted toilet. Our Freedom Sunseeker for hire will be between a 2007 & 2010 model (subject to availability). They are not new but are presented clean and in full working order. 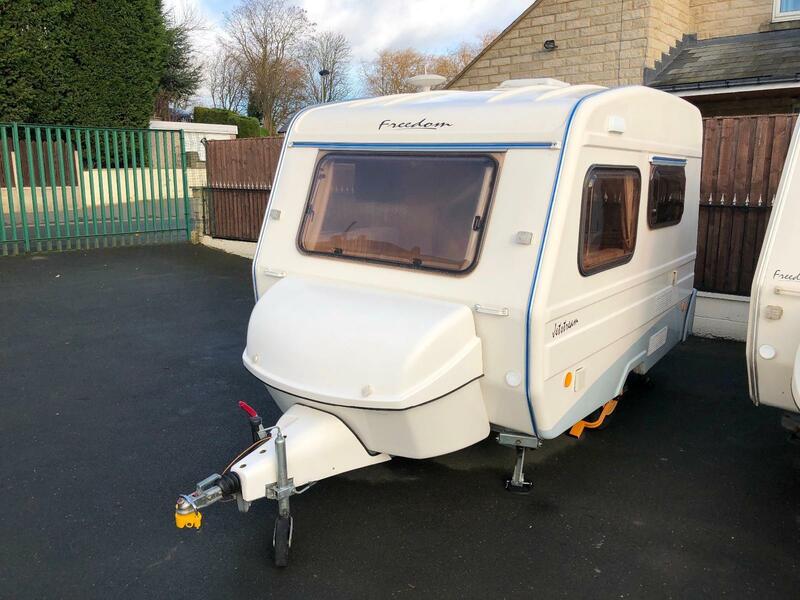 Should you wish to purchase any of the caravans you hire then 50% of the hire cost will be deducted from the sale price of any of our used Freedom caravans in stock, so why not TRY BEFORE YOU BUY. Our hire charges are including VAT, so the price you see is the price you pay. A valid credit card is all that’s needed to make your booking. A £1,000 excess deposit will be held during the hire duration but will be refunded upon return of the vehicle. (Provided the vehicle is returned without damage). 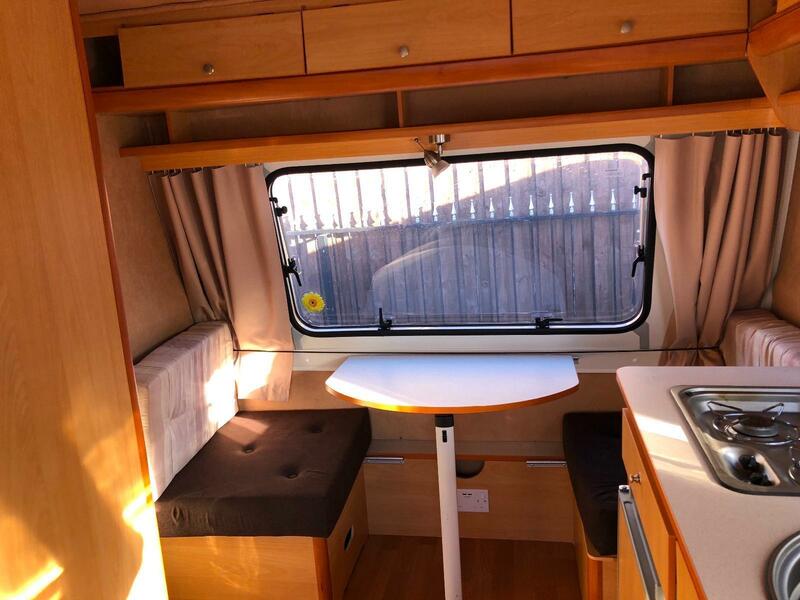 We offer a choice of hiring our Freedom Caravan Mon-Fri, Fri-Mon or a combination of both to suit your needs. A full handover is given on collection and printed instructions supplied. Return times are allocated between 9am and 11am. 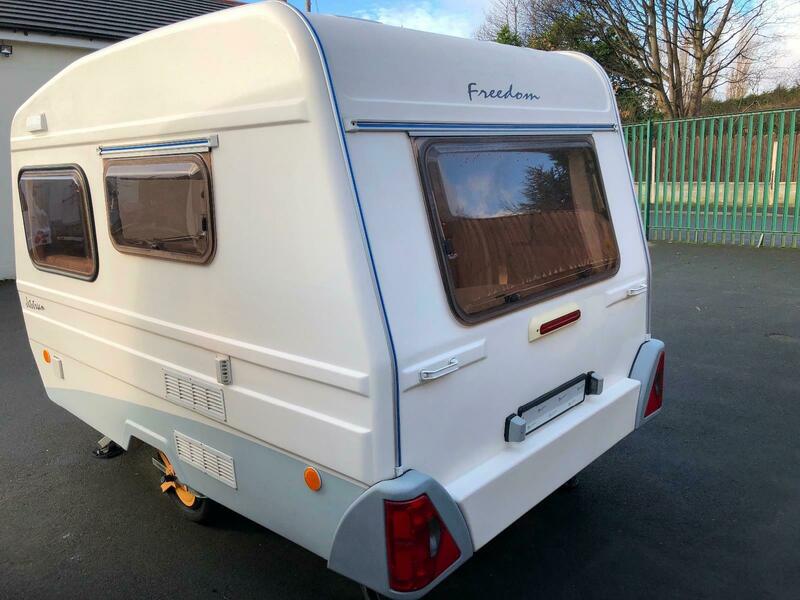 As our Freedom caravans often come in and go out again the same day, you must return the caravan by your specified time. Late returns impact other hirer’s holidays so £50 per hour will be charged for all late returns. 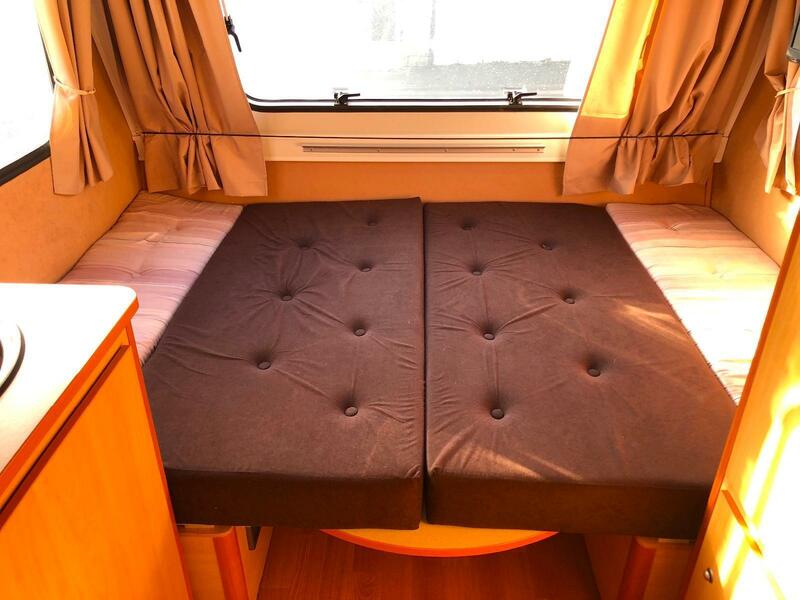 In the event of cancellation by the hirer any deposit/balance paid is non-refundable. 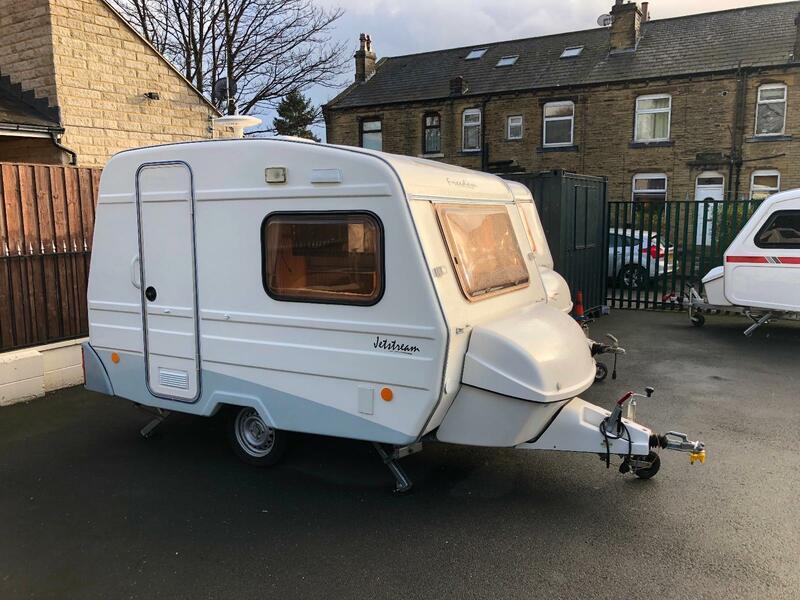 Smoking in the caravan is strictly prohibited. 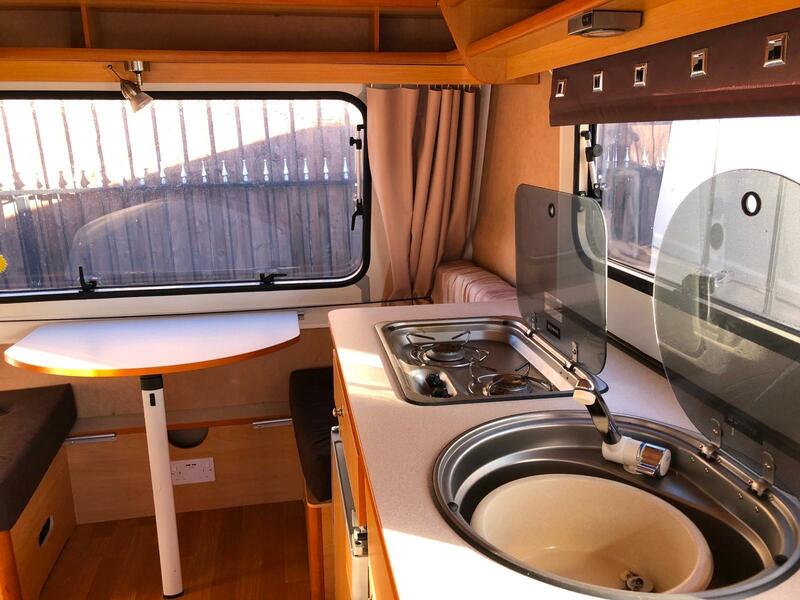 Small pets are allowed in the caravan but a cleaning excess of £150 may be applied if extra cleaning is required upon return. Once you have chosen your dates, collection and return times, bookings can be made by phone or in person. If the hire is within two months of booking full balance is payable at time of booking. 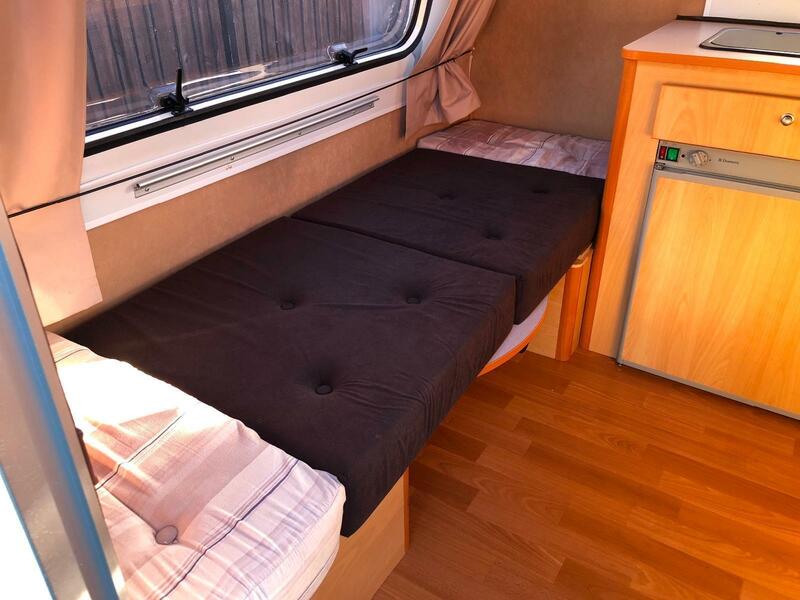 Otherwise a £150 non-refundable deposit secures your booking with payment due two months before hire. A Valid Credit Card is essential for security. We will pre-authorise this card to cover any damage, late returns, excess cleaning etc. We will also need proof of I.D and your drivers license details, this can be done anytime between booking and your first day of hire. 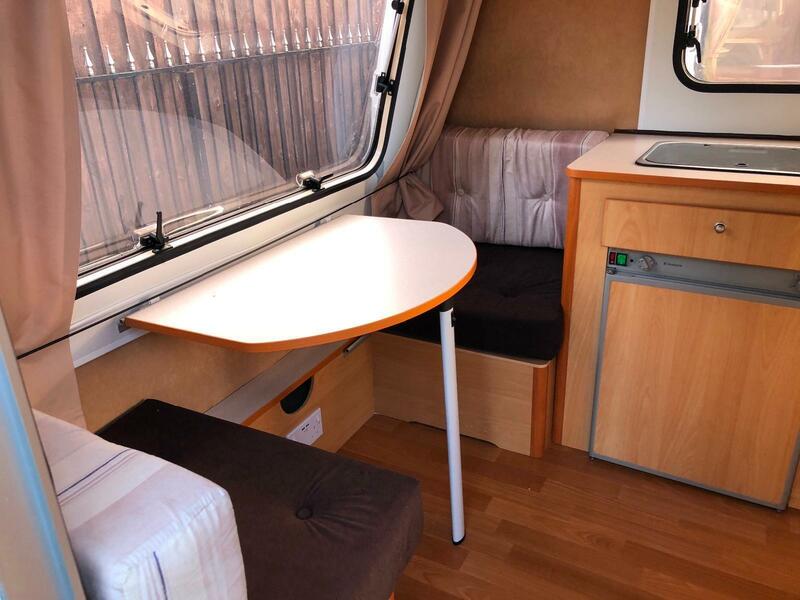 You will be given a comprehensive handover on how to use the caravan and printed instructions are also provided. Handover and paperwork takes approximately 45 minutes. 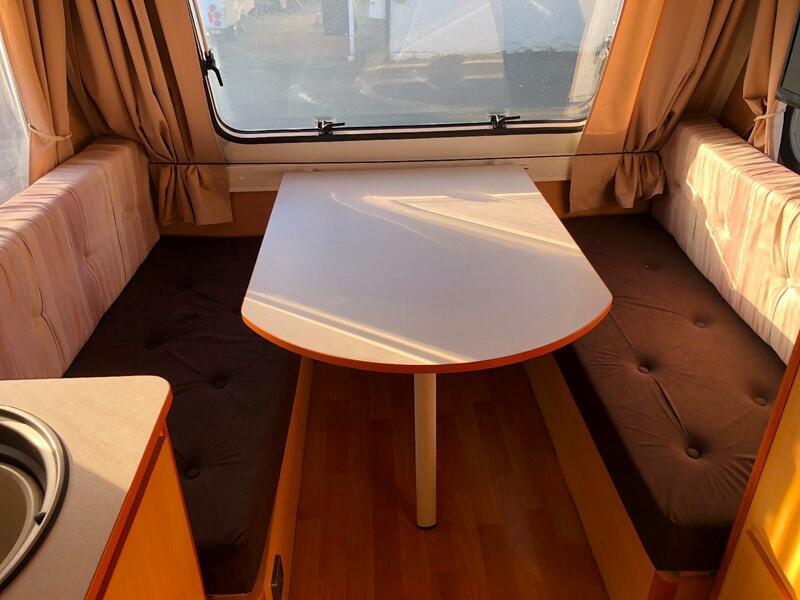 Once you are away in our caravan you have the security of knowing that we have a helpline available 7 days a week during office hours which can talk you through almost all technical emergencies. You will be allocated a drop off time between 9am and 11am. This must be strictly adhered to as late returns impact other hirer’s collection times. 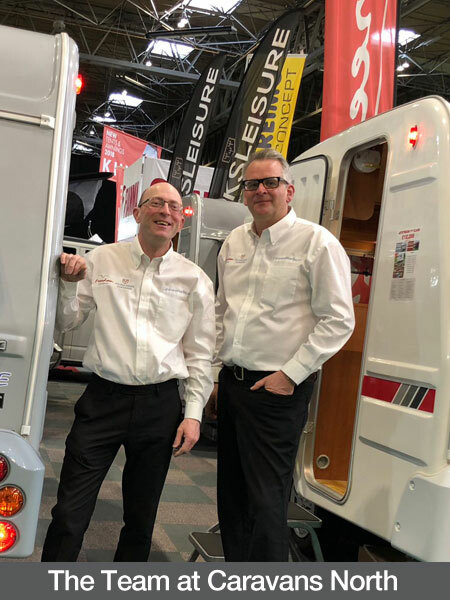 Upon your return we will inspect the caravan with you for condition and cleanliness, and within approximately 15 minutes you’re on your way home – it’s as easy as that! Please Call Neil Worthington on 07860 366888 for booking enquiries or for more details.